It’s that time again…election season. The media is full of candidates, debates and campaign ads. Our Facebook feeds only consist of articles about why you should vote for him or her. Adults are stressed and concerned about the future of our nation. TV become extra nasty with debates and “approved messages”. And where does this leave our teenagers? For many, they are finally old enough to be aware of what is happening, but they don’t have any power if they are under 18. For some, it is their first time to get to vote! They are excited, confused and overwhelmed. Teen Life exists to provide a safe place for teenagers to have difficult conversations. What is more difficult than politics? As a parent, teacher, counselor or mentor, you have an incredible opportunity to model for teenagers how to have difficult discussions in a safe environment. Take this time to have discussions and allow them to ask questions. They don’t have to agree with you, and you don’t need to lecture, but bring them along on this political journey so that they are prepared when it is their turn to vote. Voting for the future President of the United States of America is important. Educating and raising up a new generation of Americans is just as important. 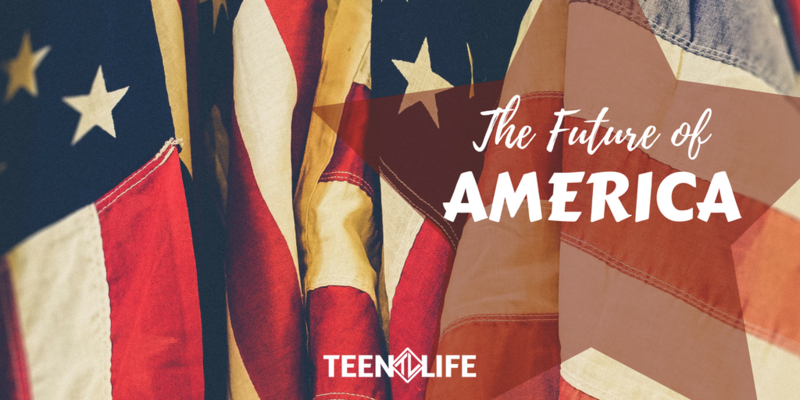 This election season, let’s take the time to consider teenagers. Talk to them about candidates, why you choose to vote, and who you choose to vote for. What policies are important to you? What beliefs do your family hold? These are just some of the important policies that could be affected by this election. The first step to educating your teenager should be to make sure they are aware of all sides. Present the facts, have a civil conversation, and allow them to ask questions and draw their own conclusions. Now that you have talked about the issues and policies, who should you vote for? Are you Republican, Democrat, Libertarian? Will you vote based on a candidate’s beliefs or likability? If you haven’t already, go to isidewith.com to see how your views line up with the current candidates. Take this quiz with your teenager and then let them take it themselves. It is a great resource and way to talk about the candidates in a format that teenagers will find interesting. Instead of pulling out charts and news articles, let them actively be involved in their choice. Now you have discussed the issues and looked at all the candidates! But part of the voting process is making sure that you are ready to vote. Since every state has different requirements, look up your state voting information here. Would you like to vote early? Where do you go to vote? You can find that information here with your address. Do you have a valid ID to vote? Walk teenagers through this process so that they are prepared and informed for their opportunity to vote. Let’s show this next generation of voters that they can have a voice. They can be calm and well-informed. They can have the impact of the future of our nation. Have you talked to your teenager about the election? How else can we involve them in this process? Share with us and share this post with a friend!